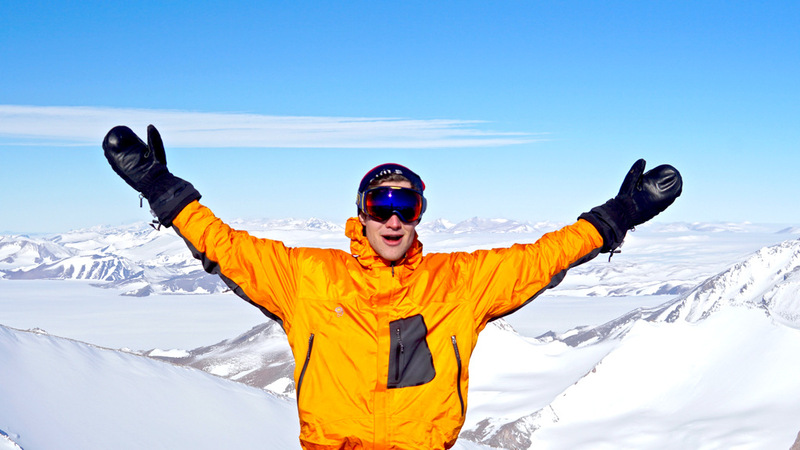 A young Belgian bioengineer, Aymar de Lichtervelde, stepped up to the challenge of spending a season at the Princess Elisabeth Station Antarctica. He was given the daunting task of improving both the efficiency and the capacity of the station's water treatment system. At the end of the season, Aymar's work surpassed everyone's expectations, reducing even further the Princess Elisabeth Antarctica's environmental footprint while providing an incredible experience to a young professional. What was your main job at the station during this past season? I took care of the water systems of the station, especially the water treatment system. My main goal was to increase the water treatment system’s capacity to be able to handle wastewater from a larger volume of people, increase its efficiency and level of automation. I also monitored the quality of the drinking water at the station for potential contamination from harmful bacteria. People arriving from Cape Town might have bacteria foreign to the station and can contaminate the user points (faucets, etc.). When you have 30 people using the same facilities, contamination is a potential problem. How is drinking water produced at the station? Water is produced at the station by melting snow. From the snow we get very pure water. But the water is too pure, and this can be problematic. Why is it a problem to drink water that’s “too pure” ? Because it contains no minerals. If you drink only chemically pure water, then your body doesn’t get essential minerals that it needs. This can result in fatigue, problems with concentration, and a sensation of being thirsty all of the time, even if you constantly drink water. Long-term effects can even lead to reduced bone density. The World Health Organisation has even done research on the problems that can result form drinking demineralised water. When I first arrived at the station in November 2018, several people in the station’s team had the symptoms I described. We then started adding minerals to the drinking water and provided mineral powder to the staff. Lack of minerals is a rather subtle health issue, but an issue that must be taken seriously. And what about your work on the water treatment system at the station? The water treatment system was first installed in 2008, when the station was being built. The system wasn’t originally designed to handle the number of people who go to the station now, so it’s become necessary to increase its capacity and improve its functionality. One of the challenges of the Princess Elisabeth Station is that it’s a victim of its own success. It was originally designed to welcome 18 people, but during a normal season, there can be as many as 30 or 40 people on-site at peak times. Did you find it easy to increase the water treatment system's capacity? It was not easy, no. In practice, wastewater treatment is quite a complex process that demands a multidisciplinary approach. A background in process engineering, physics, microbiology and biochemistry is essential to understand and optimise such a living process. On top of that, we face major space and energy constraints at the station, making the treatment process much more challenging than in a building in Europe, for example. Before leaving for Antarctica, I did an audit of the entire system with Dries Demey, the engineer who designed the station's water treatment system 10 years ago. We had to first discuss modifications to the system that would allow for an increase in its capacity, and how to implement these changes. Then, when I arrived in Antarctica, I had to do a lot of learning about the system on-site. To implement hardware modifications, one of the station’s two plumbers, Bernard Polet, gave me a hand. We established a very fruitful collaboration, and thanks to him, I learned a lot about plumbing! It was a challenging three months with lots to do, but I was happy to have experienced this challenge. Were you happy with the result of your efforts? This the first year that the water treatment system at the station has been able to treat wastewater more quickly than it is produced, which is a key goal. The system is now working better than it ever has. The water leaving the system is clean enough to drink! Compared to other research stations in Antarctica, the Princess Elisabeth is far ahead in terms of meeting its environmental obligations under the Madrid Protocol to the Antarctic Treaty System (Under the Madrid Protocol of the Antarctic Treaty System, station operators are required to do as much as they can to have as little impact on the Antarctic environment and report any environmentally damaging incidents). I know another station in Antarctica that treats and recycles grey water. But Princess Elisabeth is the only station in Antarctica I know of that can treat black water to such standards. Being able to treat both grey and black water in situ is a major help to the environment and reduces operating costs of the station. Not being able to do so means that one is left with two options: discharging untreated wastewater into the environment (into the ocean if the station is at the coast, for example), or shipping it to South Africa or South America, which costs a lot. without harmful effects, and it doesn’t cost us money to ship organic waste to Cape Town at the end of the season. In addition, purified water can be recycled for non-drinking use, such as showers and toilets, which can help a lot when there is a high demand for water at the station but little energy to produce it. We also managed to automate the system even further, so that it can function better on its own. The long-term goal is not to have to send an engineer to the station every season specifically to handle the water treatment system. How did you enjoy your time living at the station? It was great, especially because I got to learn new things on the job and experience Antarctica for the first time! The cooks at the station were amazing. They made some really great meals. The Princess Elisabeth station is know for having some of the best food in Antarctica. We also had time for extracurricular activities. On Sundays, we were able to do cross-country skiing, and hiking on the “windscoop trail” around the small mountain near the station. We could also play games, watch movies, or even play the guitar! The main challenge, though, is living in the same place where you work for several months. For those of us who had to work on the station’s systems, we had to be on call at pretty much any time, ready to go to work in case there might be a problem. You have to to find a way to make a good work-life balance, as much as that’s possible. We usually worked six, sometimes seven days a week, 11-14 hours a day. It’s a good thing that the season is only three months long. Otherwise, you might get tired of working like this without any vacation. Nonetheless, I enjoyed my time at Princess Elisabeth Antarctica very much, and working at the station was very enriching and rewarding. It was great to be part of a team with so much motivation and good spirit!